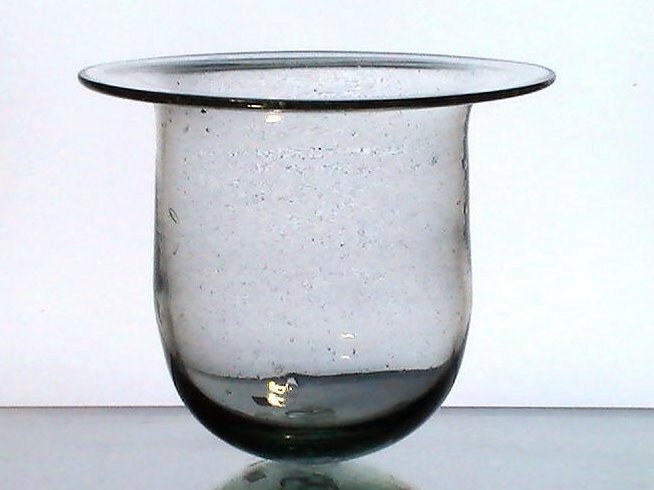 Heavy bubble glass holder with wide brim, and flat top with rolled edge. The candle holder is meant to be suspended in a metal ring stand or holder, which is not included. This piece is made in heavy blown glass with tiny air bubbles. Typical for Mexican Glass.​ Slight green hue is evident in the glass. Holder is 8 inches in height. Measures 9.5 inches across the top. Fits in a 7 - 7.25 inch ring (interior diameter measurement). 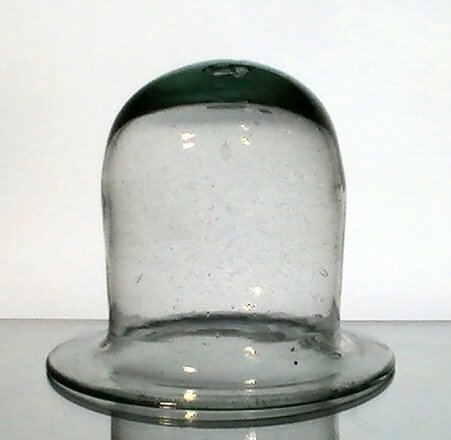 Heavy bubble glass holder with wide brim, and flat top with rolled edge. The candle holder is meant to be suspended in a metal ring stand or holder, which is not included. This piece is made in heavy blown glass with tiny air bubbles. Typical for Mexican Glass.​ Slight green hue is evident in the glass. Holder is 8 inches in height. Measures 9.5 inches across the top. 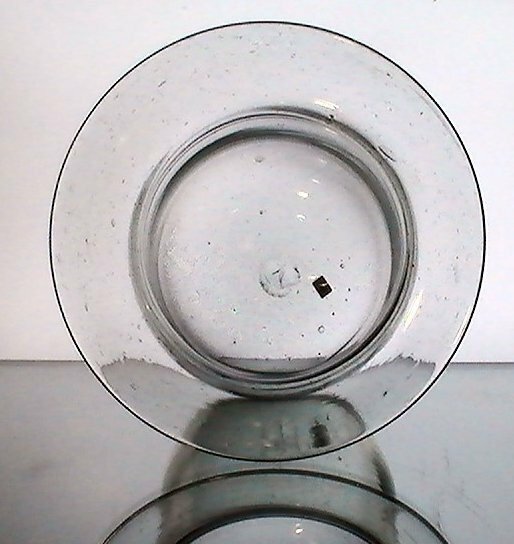 Fits in a 7 - 7.25 inch ring (interior diameter measurement). to make sure I have what you need.